Cairo: Six people were killed on Friday in clashes between Egyptian security forces and backers of the now-outlawed Muslim Brotherhood near Cairo, health and security authorities said. Supporters of ousted Islamist president Mohammad Mursi had held small marches after the morning prayers for Eid Al Fitr, which marks the end of the fasting month of Ramadan. 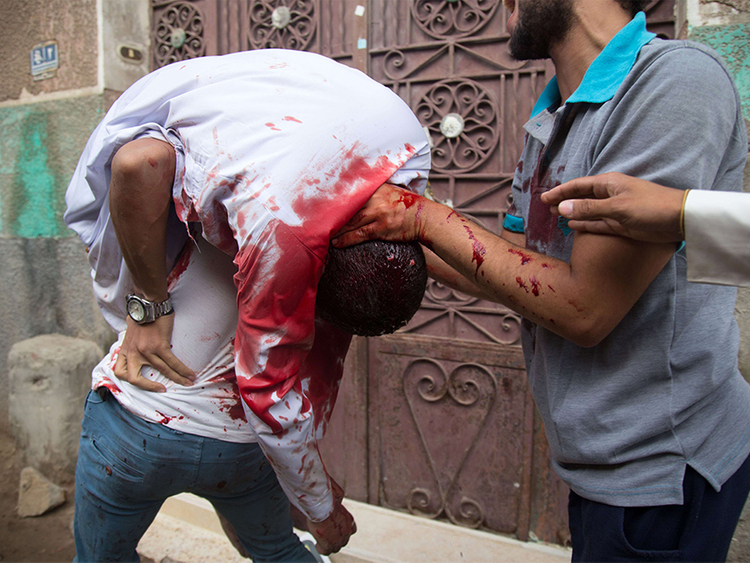 Three others were injured in the fight in the Giza area of Al Talbia, the Health Ministry said. Dozens of Brotherhood followers took to the streets in the area in an anti-government protest following a prayer marking Eid Al Fitr, security sources said. Anti-riot police rushed to the area and fired tear gas to disperse the protesters some of them possessed firearms, the sources added. The violence came hours after deposed president Mursi, a senior Brotherhood official now in jail, urged his backers to continue what he called a “revolution”. “My strength and my resolve have not weakened yet and my belief in victory is limitless,” Mursi said in a Facebook message allegedly sent from prison. Mursi was deposed by the army in 2013 following enormous street protests against his one-year rule. Last month, a criminal court sentenced him to death for involvement in a big prison break during the 2011 uprising against his predecessor Hosni Mubarak.